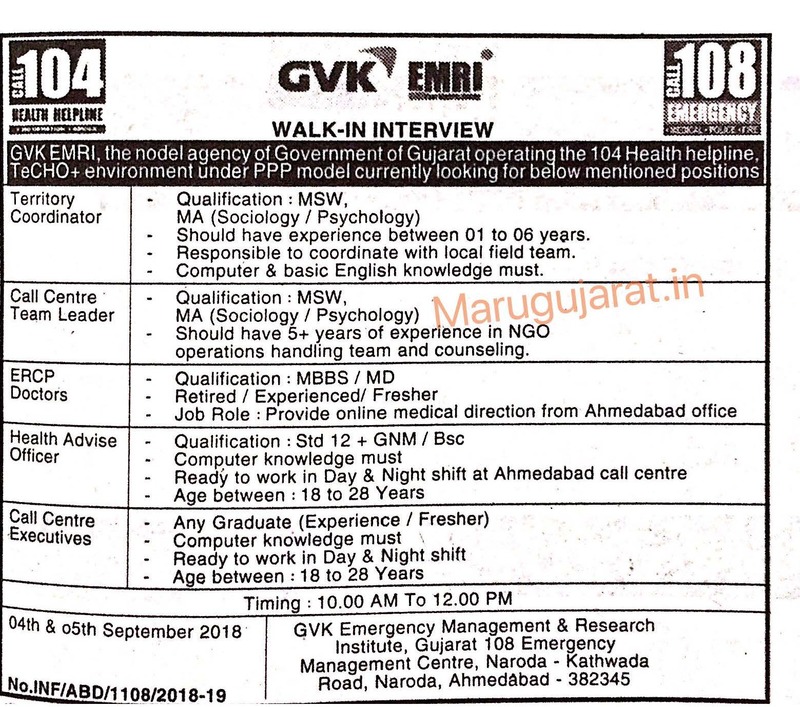 GVK EMRI Ahmedabad has published Advertisement for below mentioned Posts 2018. Other details like age limit, educational qualification, selection process, application fee and how to apply are given below. MSW / MA (Sociology / Psychology). Should have experience between 01 to 06 years. Responsible to coordinate with local field team. Computer & basic English knowledge must. Should have 5+ years experience in NGO operations handling team and counselling. Std 12 + GNM / B.Sc. 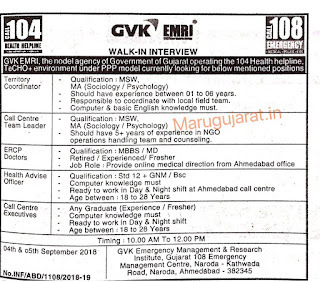 Ready to work in Day & Night shift at Ahmedabad call centre. Any Graduate (Experience / Fresher). Ready to work in Day & Night shift. Interview time: 10:00 a.m. to 12:00 p.m.